Recently here in BBQ Spit Rotisseries, We got stocks of amazing rubs and sauce from the award-winning brand - the Heavenly Hell Hot Sauces. 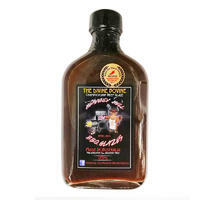 In this blog post, we will walk you through the full range of Heavenly Hell's rubs and sauces. Let's start with the rubs. 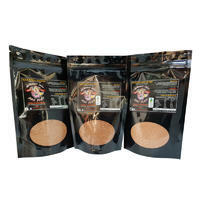 One of our favourites among the rubs is "The Grilled, The Smoke, The lovely". 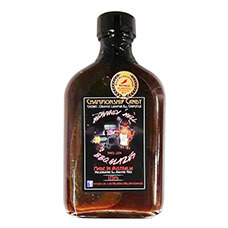 Our resident pitmaster, Cameron use this personally on "Steak Cook-Off Association with really great success. 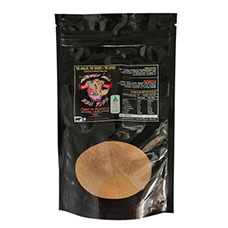 This is really perfect on steaks and beef, put it on briskets and you will see a great result. 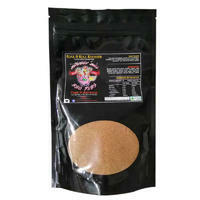 Another amazing rub from heavenly hell is the "Sweet Succulent Swine". This is really good on pork shoulder and ribs. It is a very good base and had a very in-depth flavour. Perfect for layering flavour on your bbq. The next one is the "Rock and Roll Rooster". As its name suggests, it is specially made for chicken but don't hold back on using this on other meat, you can use this on almost everything! Really good on beef and seafood. 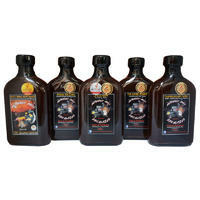 Heavenly Hell Hot Sauces is well-known for their award-winning sauces. First is the "Holy Grail Hog Glaze". it's a bit of mouthful, it won the 1st place of the Scovie Awards of 2018. Really amazing on pork, hence the name. We really love it on pulled pork and chopped pork. 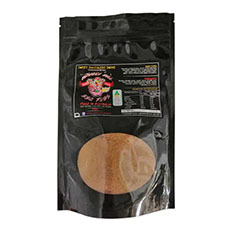 It has a very in-depth flavour, made with smoked honey, tamarind and chipotle. Not so very hot but has a little bit of ting in your tongue. Another one is the "Lamb Almighty". Lamb Almighty brings us amazing results in competition BBQ because of its in-depth flavour. It comes from fig, port and maple. It is fairly traditional but it is also award winning. 2nd place on Scovies, try it on your next lamb dish and you will surely love it. Next stop will be the "Championship Candy". This should be in your arsenal. Made from orange liqueur, cherry and chipotle. It can give your pork ribs a beautiful shine as well as an amazing flavour. Next along, we have the "Divine Bovine". This really great on burnt ends. 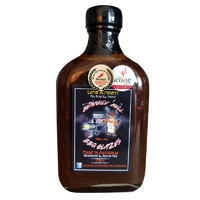 We use this as burnt end sauce on competition BBQ. Championship beef Glaze it got some really cool things going on and we recommend this to those who want something a little bit different on their burnt ends. And last but not least is the "Praise the lord Championship Chicken Glaze". This one goes very well together with the "Rock and Roll Rooster". Together, it can make your chicken Competition ready. Also winner of Scovie Awards. Check out this sauces and rubs now, see the full range here. Make sure to grab now cause stock may not last!